Accra, May 25, GNA - Ghana's Deputy Foreign Affairs Minister, Mr Akwasi Osei-Adjei on the celebration of the 41st Africa Day on Tuesday challenged Africans to work to transform the Continent into a virtual Paradise. Mr Osei-Adjei said in the face of all the multifaceted problems of the Continent, there was, at least, the consolation that it was still a virgin territory of vast reserves of human and material resources that could be used to transform it into a virtual paradise if only Africans would be equal to the tasks expected of them. Speaking at a flag raising ceremony at the Forecourt of the State House in Accra, Mr Osei-Adjei said the task of transforming the Continent called for concerted and dedicated effort on the part of all Africans. "One of our most basic tools in this struggle for advancement, is without any doubt, the African Union", he said. Mr Osei-Adjei said looking at the zeal with which AU began its work; there was every indication that it would be up to the task the Organisation of Africa Unity (OAU) bequeathed to it. He said African countries continued to be plagued by the dire consequences of conflicts, disease, poverty, drought and illiteracy, with a consequential compounding of the bad political and socio-economic circumstances of the Continent. "In deed the situation is not made any better by the potential threat of marginalisation and related effects of globalisation as a well as the formation of rather restrictive alliances and blocs which continue to place a stranglehold on African countries in their dealings with the rest of the world" Mr Osei Adjei said. He spoke about the scourge of AIDS, which he said, was hitting hardest at the productive sector of the African population, thereby putting the future of the whole Continent in jeopardy. United Nations figures, he said, indicated that three-quarters of the world's AIDS patients were in Sub-Saharan Africa. Mr Osei-Adjei blamed armed conflicts as one of the major contributory factors to the Continent's stunted economic growth and spoke of the establishment of a number Commissions including the Commission on Mediation, Conciliation and Arbitration and the incorporation of a Central Organ of the Mechanism for Conflict Prevention, Management and Resolution, as one of the Organs of the AU in 2001 as part of efforts to stem the tide. This Organ culminated in the formulation and adoption of the Protocol Relating to the Peace and Security Council (PSC), which took into account the shortfalls in previous peace and security initiatives as well as current developments on the Continent and also provisions of the Constitutive Act of the Union and the UN Charter. Ghana is among the 15 members of the PSC. Mr Osei-Adjei announced the launching of the PSC in Addis Ababa on Tuesday, adding that Nana Addo Dankwa Akufo Addo, Foreign Minister, was there to represent Ghana. "With this development, Africa has once again equipped itself with an Organ charged with the responsibility for fostering peace and security on the continent, and which, in addition to the usual conflict practices, such as conflict prevention through the use of early warning and preventive diplomacy, is also tasked with humanitarian action and disaster management." On the New Partnership for Africa's Development, and the African Peer Review Mechanism (APRM), Mr Osei-Adjei said the two initiatives provided Africa the rare opportunity to pull itself out of the doldrums of underdevelopment and added that Ghana felt proud that other countries were following its example to submit themselves to scrutiny of good governance practices. Mr Emmanuel Amon Tanoe, Ambassador of Cote d'Ivoire and Head of the African Diplomatic Corps in Ghana, said the OUA, now the AU, formed to fight for the total emancipation of the continent, has chalked some successes. "Today, Africa has been totally decolonised and the atrocious apartheid regime has become nothing but a bad memory'' he said. Mr Amon Tanoe said the OAU, which was at the forefront of the fight to promote human rights had similarly fulfilled the aspirations of the peoples of Africa for greater political freedom within the democratisation process. He said there could not be any better way of honouring the founders of the Organisation than by setting aside a day on which to remember their struggle and sacrifices, which resulted in freedom for African countries and proclaimed the dignity of the African. Mr Amon Tanoe said the new continental organisation - African Union - was created to help Africa to adapt to the economic, political and social changes of the 21st century. 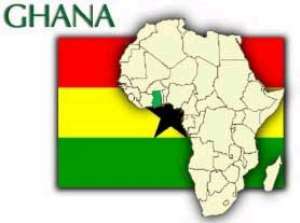 Mr Osei-Adjei hoisted the flag of Ghana, while Mr Tanoe hoisted that of the Africa Union. They had earlier inspected a guard mounted by two contingents of the Ghana Air Force, under the command of Squadron Leader Godfred Sackey Parker. The Air Force Band provided music. Major Umar Sanda Ahmad, Imam of the Ghana Armed Forces (GAF) said Muslim prayers for Africa's unity, while Major Ebenezer Arday Laryea, Chaplain of the Ghana Armed Forces of offered Christian prayers. Present at the ceremony were members of the Diplomatic Corps, Ministers of State, Members of Parliament, Traditional Rulers, students from second cycle schools and a cross-section of the public.